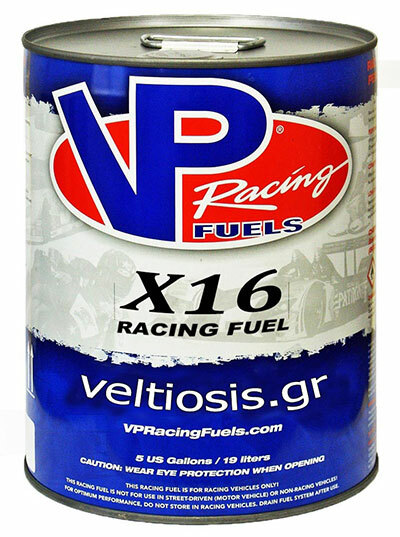 �������� �������� - Commercial Products | VP'S X16 Becoming Fuel Of Choice For Sportsman Drag Racers. Championship Performance at an Economical Price. When VP Racing Fuels first introduced X16, it was described as a "perfect blend of performance and economy". According to Jim Hughes, President of Hughes Motorsports, X16 has delivered on its promise and more. "We've used X16 to win national events in 3 different classes", Hughes said. "X16 is incredibly consistent, it offers a smooth air:fuel curve whether you're bracket racing with throttle stop or all out. And it's versatile - you can use it in different engines, from 800 Hp to 1500 Hp, with different compression ratios", Hughes added. "We're currently campaigning six cars in six different classes, so cost is an issue. It's huge to be able to use the same fuel and be able to count on superior performance in each of our cars." Kevin Kleineweber, National Champion in Super Street, Super Gas and Super Comp for Hughes Motorsports, added, "The repeatability of X16 is awesome and it's very economical. After using another brand that was more expensive, we're now spending less and getting a more consistent product without losing any power." Designed for naturally aspirated engines, X16 is an economically priced option for two and four-stroke engines with compression ratios of up to 16:1 and for engines using nitrous up to 300 HP. "X16 offers the power and protection of leading 116 octane racing fuels for a lower price and is an ideal fuel for a variety of motorsports applications," said Jason Rueckert, VP's Regional Manager-Midwest and member of VP's Tech Support staff. X16 is available in pails and drums through VP's extensive dealer and distributor network. "For extreme nitrous applications, we continue to recommend the superior performance and engine protection of VP's C16, NO2 or C23," Rueckert continued. "For forced induction applications, we recommend C16 or Q16."